I recently read a really nice short story by Alice Munro. I am currently reading Blindness by José Saramago. What do they have in common? That's right, they were both awarded the Nobel Prize in Literature: Saramago way back in 1998 and Munro only last year. When someone commented "How often do you get to say you've read a Nobel Prize winner?" at the book club the other day, it got me thinking. I honestly didn't know if I ever had any - the only author I was certain about was William Golding, and only because Lord of the Flies formed a large part of my syllabus last year. 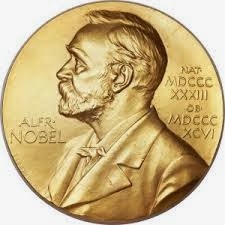 So I found this list of all Nobel Prize Winners in Literature ever and satisfied my curiousity. Bertrand Russell 1950 - The Conquest of Happiness and Why I am Not a Christian (and something else) when I was younger. I can't say I've read enough of Kipling or Hemingway to decide whether I liked them. I don't see myself reading anything else by Gabriel Garcia Marquez anytime soon. That leaves seven authors. I love William Golding, Heinrich Böll, Bertrand Russel and Eliot. I liked The Fall and do want to read The Stranger, which Camus is rather more renowned for. I was impressed by Siddhartha, but having read it in German, it was difficult to love it - but I do want to read Steppenwolf, I almost stole it from a shopkeeper once. Pygmalion was beautiful. As for Naipaul, I found The Mystic Masseuse funny, but I would have to read more to really know. And I have already ordered a collection of the best stories by Alice Munro! Of course, there are many authors I love a lot more, contemporaries of these writers even, who totally deserved the honour (me thinks) and this isn't my judging a book by its Prize. That being said, there is a whole other bunch of books by awardees on my shelves, virtual and real, some read half-way, waiting to be finished. Five! I counted. Should I be worried that I feel all mighty and haughty at having read (soon enough) seventeen Nobel Prize winning writers. Why, how many have you read? 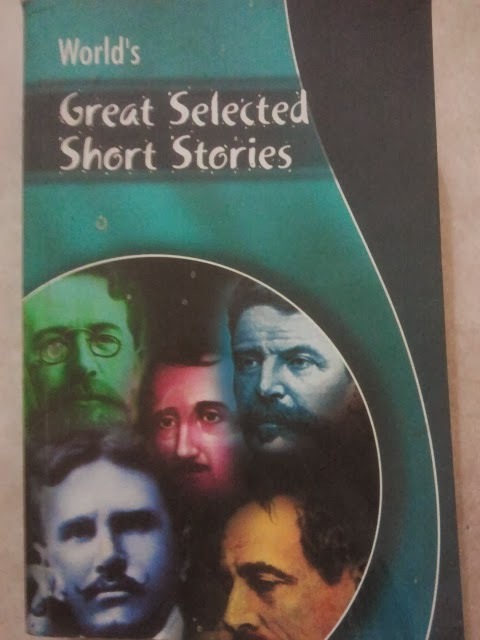 I found this little collection of short novellas (long short stories?) at a random bookstore in Hyderabad. Never having read anything by Desai, buying it was just an instinctive leap. I'm so glad I did! 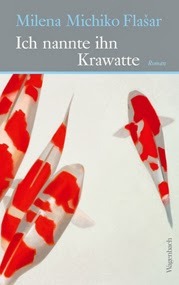 Of the three short stories in The Artist of Disappearance, my favourite was Translator Translated. Warning: this is less of a review and more of a rant about translators and translations. Summary: A lonely English teacher, Prema, who lives a miserable unsatisfied life, is offered a chance to try her hand at translation. The book in question is written by her favourite Oriya author, Suvarna Devi. When she translates the first book - Prema finds herself a purpose in life, she finds her voice and takes her back to a time in her life when was full of curiosity and passion. She begins to identify herself with Suvarna Devi, begins to consider her a friend, even. When the book is released, at a press conference, Prema finally meets Suvarna Devi, only to discover that she's exactly like her - a mousy misfit, with none of the grand qualities Prema has attached to her. The old author hardly seems to care about the translation. But Prema takes on the task of a new book Suvarna Devi going to write, not quite ready to let go of her new career. Leaving her job, Prema becomes a full-time translator. Only this time, Suvarna Devi's work has lost its perfection. Prema begins to spot inconsistencies and erroneous language and repetitive over-done drama, and finds herself wanting to rewrite. Somewhere along the way, Prema finds herself modifying the work, taking it upon herself to help Suvarna Devi improve her language and story. My thoughts: The most obvious theme of the story is that of a translator finding her own voice in someone else's work. What makes a good translator, and is a translator not an author? Is there a bond between the translator and the author? How much creative license does a translator have? The story poses some excellent questions and tries to guide us to the answers. I have always been of the opinion that a translator is only a lens, which brings a work into our reach, and when the lens is very clear (carrying the metaphor too far? just go with it.) and powerful, we're grateful for it. But the lens isn't what makes the work beautiful, that is all the author. Isn't it? The story has made me think... if having your own voice hinders a good translation, would authors make bad translators? Or is that just a big generalization...? Personally, I would be a good translator, but only of books I like. Otherwise, burying my judgments would prove difficult. Translator Translated is also about art and how it is made. The story makes you wonder if some aspect of a book would always be lost in translation. Is it possible to separate the art from the artist? A bunch of days ago, my favourite author declared Ron and Hermione shouldn't have ended up together (dropping bombs is so J.K.Rowling: does staying out of the news make her uneasy?) Which reminded of the Dumbledore revelation and how a re-read of the last couple of Harry Potter books after the news convinced me that she'd had it in her mind all along - once I knew it, Dumbledore seemed gay, too. But then: would he have seemed so in a translation? Do you see what I mean - a translator couldn't know everything going on in the author's head. Does it not affect the book? That means, I'll never be able to read the most authentic version of Anna Karenina. So disappointing. 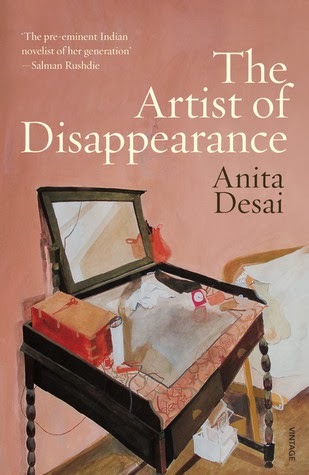 But mostly, Translator Translated by Anita Desai is about identity. About how you perceive yourself and how your perception affects how others see you; or how you think others see you (confusing, sorry.) It's a sad, sad story about learning to love yourself and it shows you how simple it would be and how few manage to do it. I wanted to feel sorry for Prema at the very end, but I was convinced that she'd brought it all on herself. Such a character is hard to sympathize with and harder to relate to. Translator Translated, like the other stories in the collection, is well written, honest and hard-hitting. Read it! This is a scary book; and the more I think about it, the scarier it gets. I like it, now that I've read it: the writing style, the evocative descriptions, the peeking into people's souls: but I'm still not sure I should have read it. It has some freakish stuff in it, which has been crawling around in my mind for two days. I want to not have read this book and I want to not have liked this book, and you may think I'm overreacting (which I probably am) but all my melodrama doesn't make that story any less creepy. Summary: The back covers says: "Off the easternmost corner of India, in the Bay of Bengal, lies the immense labyrinth of tiny islands known as the Sundarbans, where settlers live in fear of drowning tides and man-eating tigers. 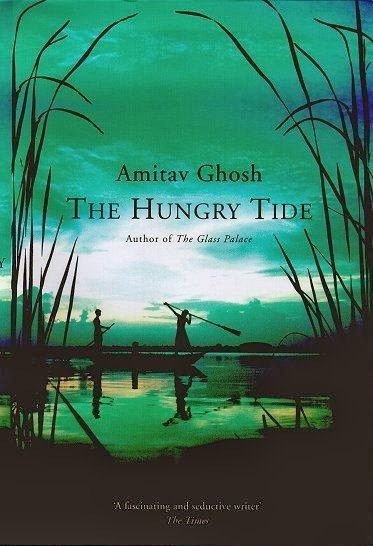 Piya Roy, a young American marine biologist of Indian descent, arrives in this lush, treacherous landscape in search of a rare species of river dolphin and enlists the aid of a local fisherman, Fokir, and a translator, Kanai. Together the three of them launch into the elaborate backwaters, drawn unawares into the powerful political undercurrents of this isolated corner of the world that exact a personal toll as fierce as the tides." Another story runs parallel to this one: that of Kanai's uncle, Nirmal. On finding a diary, addressed to her nephew, belonging to her husband, now dead, whose dream it had been to become a writer; Nilima invites Kanai to her home in Lusibari, where she, as a much loved social activist, runs a local hospital. Kanai, who owns a translation service in Delhi, reluctantly accepts the invitation. The journal reveals to him the darkest secrets of his aunt's marriage, along with a disturbing account of the plight of the settlers. My thoughts: Sundarbans. Wow. When I bought this book, I had it all planned out in my head. In An Antique Land made me want to jump out of bed and rush to Egypt, The Sea of Poppies convinced me to visit the Ganga-Sagar and with this book, I was already mentally packing my bags, off to a swampy wildlife-filled adventure. Then, a year later, I read The Hungry Tide. Now I wish the trip had already happened in the year between, because I'm not so sure I want to go any more. Too frightening. The thing that sticks to my mind, predictably, is that thing about wildlife: tigers - protecting them, to be precise, instead of protecting the people they kill. Piya, as an outsider, and a nature researcher and lover finds the way the people of the village talk about tigers uninformed. The superstitions, fear and hatred associated with the animal seem irrelevant to her. Her reaction and his aunt's worry over them venturing into the deeper jungle leads Kanai to pose that haunting question. Who rightfully deserves the earth, a classic man versus the wild; except it's not a matter to debate over coffee but more of a who-kills-off-whom-first and which-death-should-disturb-you-more and what-does-it-say-about-me-that-i-am-more-affected-by-a-dead-tiger-than-a-dead-man. Like my sister brought up: the story shows that people tend to behave in similar ways, no matter where they're from or how they spent their lives: Kanai immediately identifies with Moyna, the ambitious girl who wants to make something of herself, get an education, get 'ahead' in life; while Fokir and Piya drift automatically closer. Those serene wordless scenes between Piya and Fokir are so aptly portrayed. The relationship between them is fascinating. The striking themes are communication and language. The story is about things left unsaid, and stereotypes and judgments and self-justifications: and understanding each other despite them, which the characters, not unlike us, tend not to. I've come to love Ghosh's flitting timelines and switching narratives, be it in In An Antique Land or The Calcutta Chromosome - and he is just really good at giving each of his characters a distinct voice. I love Nirmal's conflicted mind, his inner struggle that makes him your typical unreliable narrator. I love the delicate relationship between Kanai's uncle and aunt, her practical dedication contrasted with his poetic, if over-idealized, notions of revolution. And I like her love for Nirmal, which, because it lingered despite everything could be called unconditional, which I would rather call habitual. But: Nirmal's voice does get too wordy and there are often furious bursts of information where none would have sufficed. Most of the purple prose occurs when referencing the local legends. While the lore about Bon Bibi intrigued me, it could have done without the exoticizing. The Hungry Tide is inspired and the right atmosphere would have been captured without resorting to those tricks that invariably crowd Indo-Anglian writing.